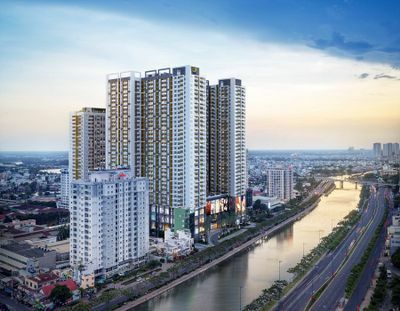 VINHOMES GOLDEN RIVER – NEW ATTACK IN REAL ESTATE MARKET Vinhomes Golden River, known as one of the first-class rank Vingroup projects, is an ecological urban adjacent to Sai Gon River. Based in the heart of District 1 and constructed on a piece of land Ba Son Port, Vinhomes Golden River is a favorable position. Vinhomes Golden River locates at the stunning place, 2 sides face to Saigon River, 1 side face to Saigon Zoo and Botanical Gardens. This project has especially the regional connection for great convenience. 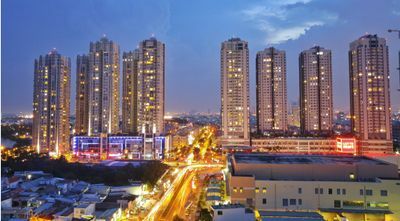 Therefore, no matter what types of transportation such as road, rail, waterway, or metro transport, you only take: + 2 minutes to Metro 1 Ben Thanh – Suoi Tien + 3 minutes to New Urban Thu Thiem +4 minutes to the center of Ho Chi Minh City. 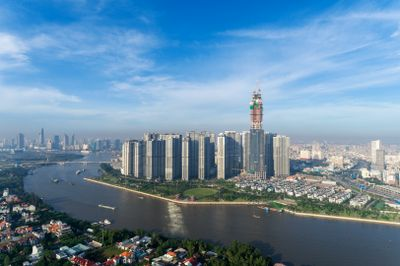 Besides, developing high-rise office buildings and gorgeous roads by the riverside, Vinhome Golden River is one of the pioneers in applying the world-famous model 'a city within a city'. Vinhome Golden River always creates your life with great utility infrastructure with integrity. Apart from this, the architecture of the Vinhomes Golden River project is also applied the state-of-the-art standard. Particularly, all of the apartments are equipped with advanced technology namely Solar Energy System, Low-Emissivity Glass, Smart Home, High-end bathroom fittings, High-end kitchen fittings, Central Air-conditioning, and Water Filters & Filtration System. 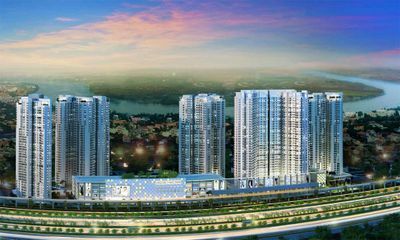 The Vinhomes Golden River project is not only renowned but also prestigious from prominent real estate Developer in Viet Nam. What could you feel more wonderful than having a wide vision and spacious living space? Having total superficies with 25,3ha and the construction density of 18.6%, Vinhomes Golden River involves in high-rise design with Apartment buildings, Office & Hotel Buildings, and 60 Floors building. Thus, residents here can enjoy in spacious space with 55m2-158m up to 4 rooms with their comfort. More remarkably, residents have impressive experiences with fully amenities at their will and pleasure: +Historical Square, Ba Son Historical Museum +Combination International VinSchool +Central Square +Shophouse, Boutique, Supermarket, Restaurant +Parks, Flower Gardens, Walkways, Playgrounds… +Sport Area: Mini-golf courts, Tennis, Badminton, Basketball, Swimming Pool, Jacuzzi… +Vinmec Central Park Hospital, Commercial Central Landmark 81, Vinhome Central Park Riverside only with 2 minutes +Marina Vinhomes Golden River Apartment absolutely offers you full facilities and services with prominent advantages leading to the modern urban area.